There is something for everyone in Southern California at Mountain High Ski Resort. This resort is close to Los Angeles and Orange County and is a perfect get-away when you are looking for a winter retreat. Outside of Los Angeles in Wrightwood, Southern California, is Mountain High Resort. It has been named as one of the top 5 resorts in California and one of the top 25 in the United States in regards to yearly visits. This ski destination consists of three separate mountains and boasts the area's largest snow tubing park. This resort is open from November through April and is a perfect get-away for the entire family. There are 59 trails consisting of 14 beginner, 23 intermediate and 22 advanced. The longest run is 1.6 miles. There is no need to stand in long lines with the 16 lifts available at the resort, two of which are high-speed quad lifts. The mountain itself has a vertical rise of 1,600 feet and has 290 acres of skiable terrain. They average around 141 inches of snow annually. Don't settle for one resort when you can check out one of the three resorts at Mountain High Ski Resort. They are only a mile apart from one another, but each has something different to offer, making each of them unique. Try the West Resort if you are looking for technical trails and skilled terrain. This resort is great for advanced skiers who are looking for a challenge but has something for every level skier. They hold contests and promotions as well as offering live entertainment. The West Resort is open seven nights a week. If long trails are what you are seeking, check out the East Resort. They also have slopes with moguls as well as scenic views of the Mojave Desert. They have an elevation of 8,200 feet making for an unforgettable ski experience. The newest of the resorts is the North. It has over 70 acres of terrain and is great for those who are just learning to ski. It is perfect for the entire family and offers the largest snow tubing area in all of Southern California. It is open Friday through Sunday. 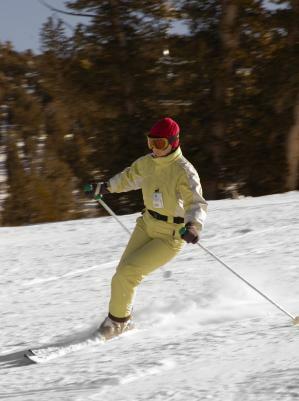 Mountain High Resort offers a wide range of lessons tailored for any level skier. No matter if you are a first timer, adult or child, there is a lesson for you. They also offer both group and private lessons. If you don't own your own equipment, don't worry. Mountain High has the latest equipment for rent. They feature Burton snowboards and Rossingnol skis that are top of the line and ready to be rented. All rentals can be returned at two convenient locations: West or East Resorts. Need a repair? Mountain High can wax and edge your skis as well as make adjustments and repairs to your skis. There are not many resorts who will recognize your birthday, right? Mountain High will give you a free lift ticket on your birthday valid for eight hours of skiing. They also let kids under 6 ski free as well as those who are over 70!